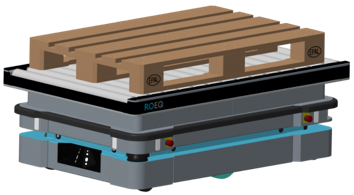 ROEQ produces specialized equipment for MiR (Mobile Industrial Robots). Their flexible logistics solutions are aimed to move you closer to a hands-free operation at your factory or facility. 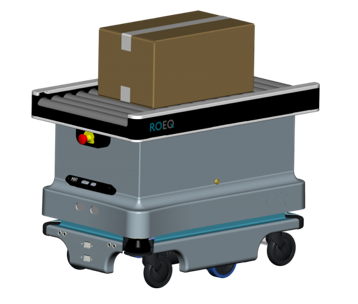 The ROEQ RB100 is made as a base, and can be used with a standard rack attached or as a base for a customized application. A MiR100™/MiR200™ will align the RB100 Rack Base with its destination, which secures precision and stability in any work environment. The basic functionality of TB75 is to perform automated load and unload operations, thereby making a MiR100/MiR200 able to carry out scheduled pick-up and delivery tasks. 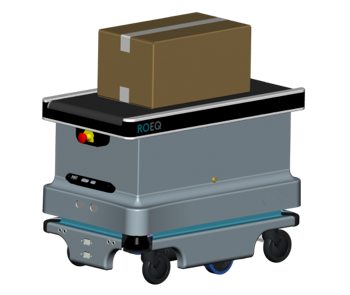 The basic functionality of the TR125 is to perform automated load and unload operations, thereby making a MiR100/MiR200 able to carry out scheduled pick-up and delivery tasks. 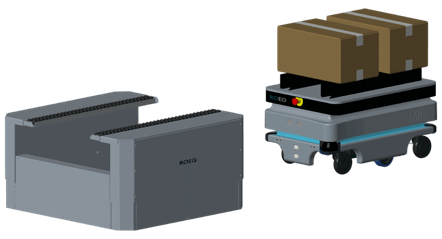 The basic functionality of the CP300 system is to perform automated internal pallet transport with the MiR100/MiR200. CP300 is designed to transport pallets, and with the special TMOZ (Top Module Oversized) the safety is incorporated into the design of the Top Module. The TR500 is developed to support heavy internal logistics in industrial facilities. 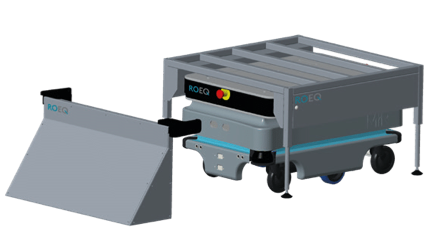 The basic functionality of the TR500 is to perform automated load and unload operations. The design enables safe and reliable transportation of goods with varying footprint. With TR500 the MiR500 is able to carry out scheduled pick-up and delivery tasks with many different types of heavy goods. Advanced Control Solutions is a ROEQ distributor in Georgia, Tennessee, Alabama and Mississippi. We offer free evaluations and technical support to help our customers solve their applications.